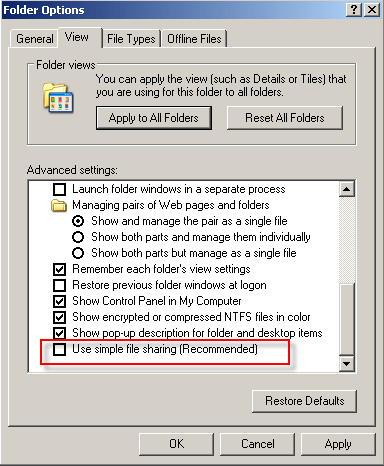 So after I configured the UI settings on Win7 to the way I saw fit, I realized that this feature was gone. 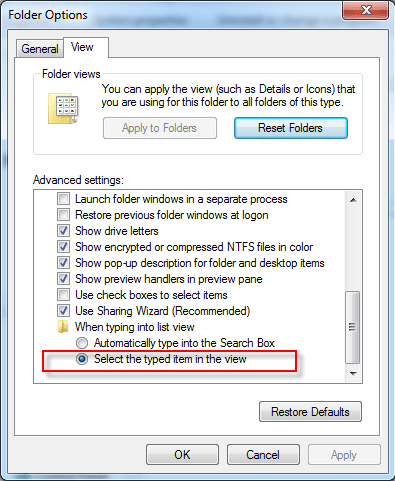 It would automatically start searching for text in all files recursively – very annoying. I asked how to turn this feature off in many forums and do what I wanted to do and no one knew. That wasn’t checked. I suppose I did it instinctively without thinking. In WindowsXP, the area is used to trigger Advanced File Sharing, and I guess I didn’t realize this in Windows7. Also, I don’t think in XP this is an option you can control because it just works.